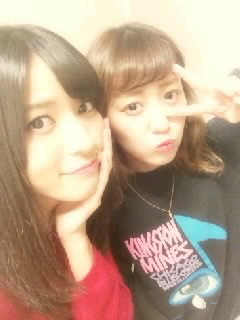 Maimi has a busy two days promoting the new single in her November 18th update “Yesterday and today (^o^)/*“. Full translation below. Posted on November 26, 2014, in Blog, Translations and tagged Yajima Maimi. Bookmark the permalink. Leave a comment.